Here’s a recipe I acquired from my farmer friends, Keith & Megan, who grow veggies in North Carolina on their farm Nourishing Acres. Sometimes, it can be difficult to know what to do with extra eggplant and this recipe helps to solve that challenge. I’ve made this several times over the summer and even as the eggplant season comes to a close you may want to give this a try. It’s very delicious. Note: This makes a significant amount of dressing, so you could save some for another cooking project or dip other grill-worthy veggies in it. 1. Preheat oven to 400 degrees. 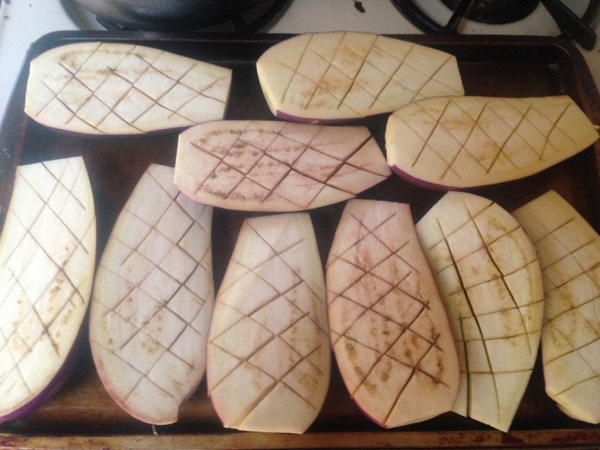 Cut each eggplant in half and score the inside with a diamond pattern in about 1/4 inch depth. 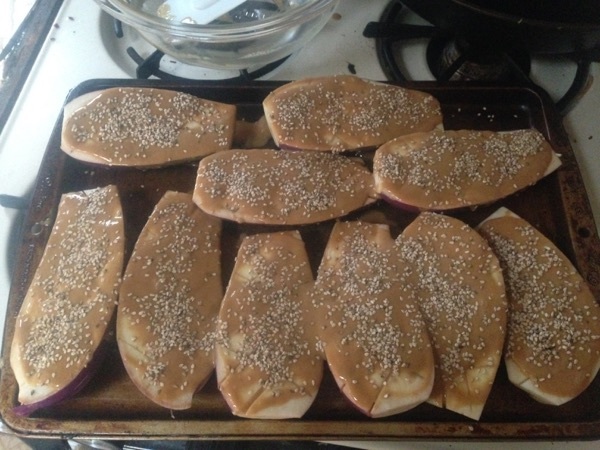 Arrange the eggplant cut side up on a baking sheet. 2. 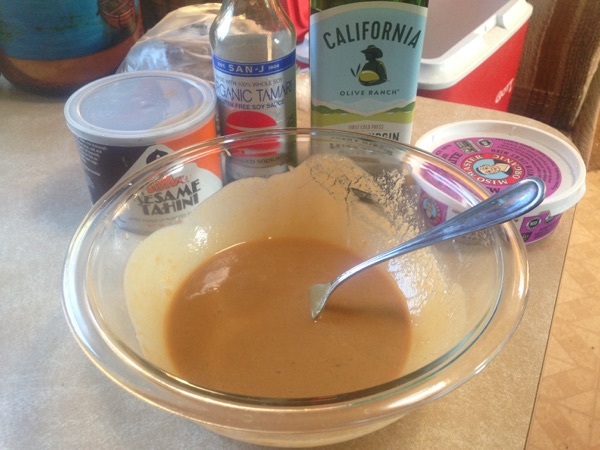 In a small bowl, whisk together the dressing. Pour the dressing over the eggplant. 3. 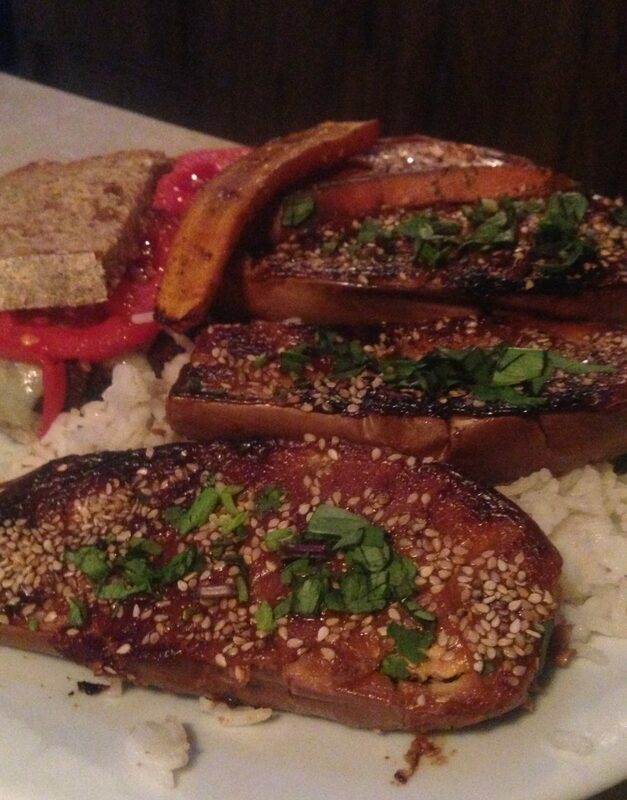 Sprinkle the eggplant with the sesame seeds. 4. 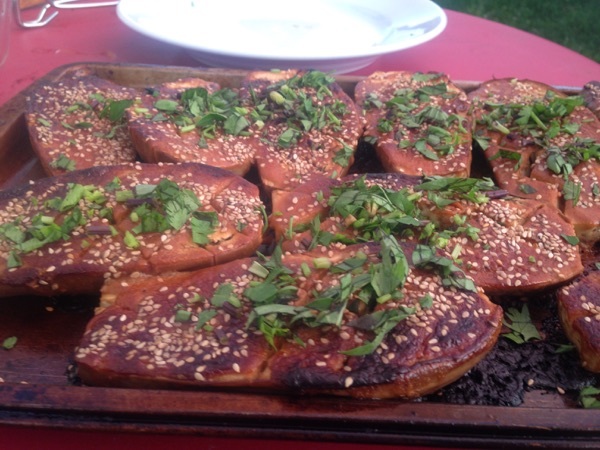 Place the eggplant in the oven and bake for 25 minutes. 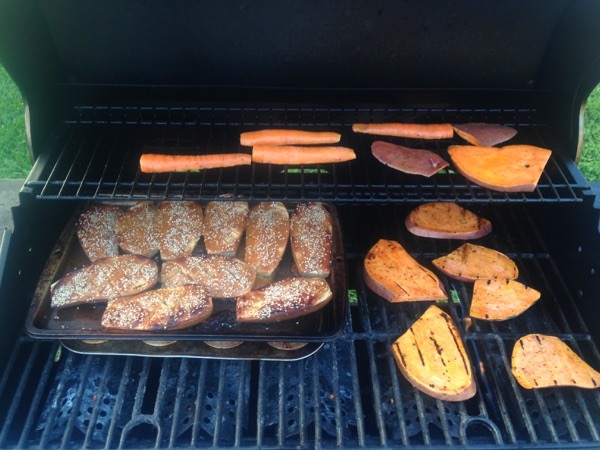 You’ll see from this photo that I baked it on the grill by placing the baking sheet on top of an upside down muffin tin on the grill. 5. Once golden brown, remove from the oven and top with chopped herbs. Let cool slightly before eating.